China has long been an impoverished nation—rural, isolated, undeveloped, easily overrun. But its goal in the past half-century has been to become a strong, independent and prosperous nation. Outsiders may debate the means by which this has occurred, but the fact is that over 200 million Chinese have been able to climb out of poverty in the last few decades. Not so long ago Beijing itself was largely dirt roads, tough little cabbage patches, and labyrinth alleyway neighborhoods called hutongs. The story is told that years ago Chairman Mao looked out on this undeveloped scene from his perch above Tian’anmen Square and said he had a dream that one day it would be a landscape filled with “chimneys” (that is, smokestacks)—his metaphor for a future of large-scale industrial development. Well, his dream came true, and then some. Let’s hope the BP oil spill in the Gulf of Mexico will have a similar megaphone effect on America’s deaf ears. Hopefully a day is coming when to drive an SUV will be seen as downright unpatriotic. The reality is that we North Americans per capita are still by far the worst polluters and energy and resource consumers on the planet. Just yesterday a philosopher at Tsinghua University, one of China’s leading institutions of higher education, asked me if I had ever read E. F. Schumacher’s Small is Beautiful (1973). He had, and thought it was great. He’s passionate about ecology and suspicious of the carnage that greedy modernity is wreaking on the planet. 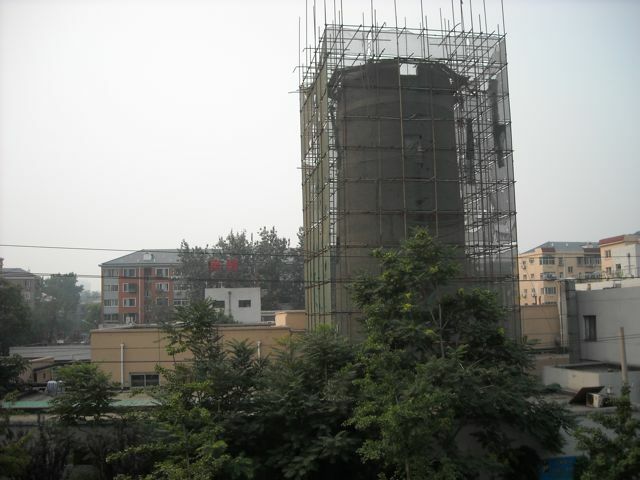 Smoke stacks are coming down in Beijing, and some days the sky is actually blue. There are a few things that need to be dismantled in North America too if we are to leave any kind of viable and hopeful future for our grandchildren.